After work today I ventured over to the Air Farce, I mean the Chair Force, Air Force Museum. (sorry to the Fly boys on the typos) It is located at Wright Patterson Air Force Base. Even though I am a Devil Dog through and through, this place had some really awesome displays. It was obvious the USAF kept all of the good stuff for here instead of sending to the Smithsonian. The entire evolution from the Wright Brothers to the Stealth were here. One of the displays that I found the most interesting was the Holocaust exhibits. Overwhelming information in this area. Information that really makes you step back and think. One of the most interesting displays in this area was the actual uniforms that were worn by the prisoners. 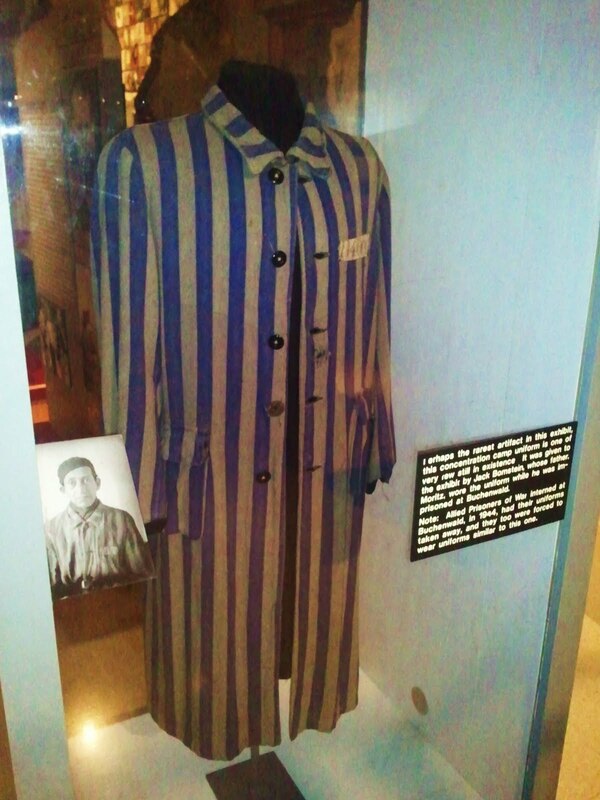 This one specific uniform also had the information of the person who wore it while in captivity. This is the picture of the day.